Model F1-DC - Systematic Automation Inc. 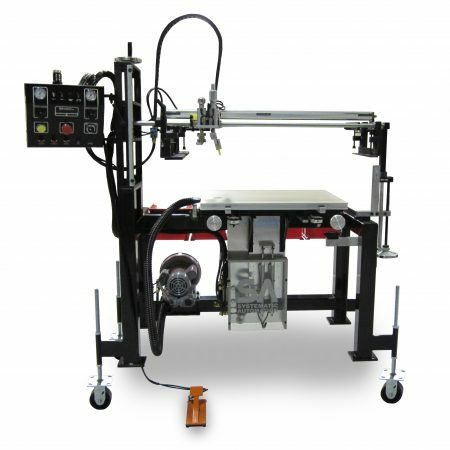 The Model F1 series machines are known in the industry as “The most reliable screen printing machine ever made”. Brilliantly simple. Easy to operate. And versatile. 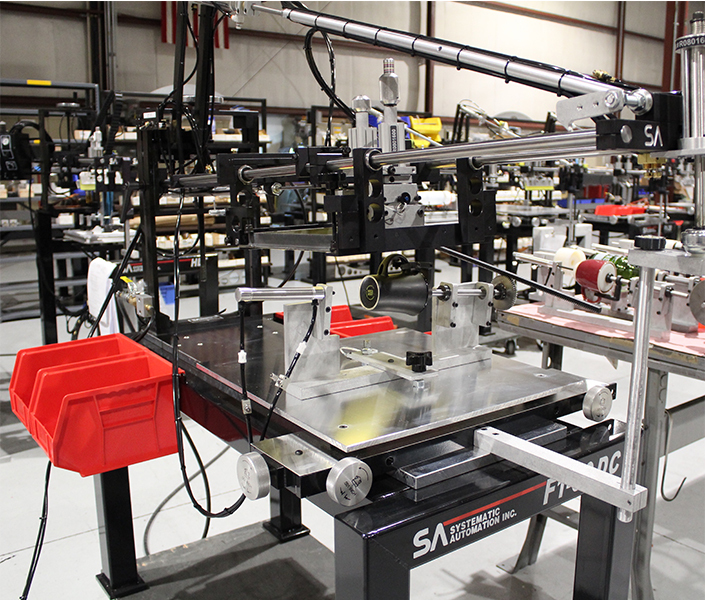 This is a machine you will be proud to bring to your shop floor. Click here for the Model F1 configured to print flat products. You’ve got a business to run – jobs to get done and payroll to make. We ­understand those pressures and it shows in the machines we design and build. 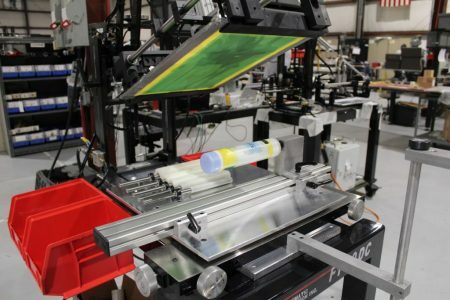 The Model F1-DC Precision Screen Printer will be an asset for your ­business that will keep paying for itself for years to come. The Model F1 series machines are known in the industry as “The most versatile screen printing machine ever made”. Brilliantly simple. Easy to operate. And versatile. With each F1 comes the experience and know how from our dedicated team of professionals to specify the right options from our library of hundreds of standard attachments. Systematic Automation invented the quick change dedicated tooling system that allows your operators to go from one product to the next in literally seconds. Without adjustments in screen height, centerline of squeegee, image alignment, etc.. This all but eliminates the need for skilled operators. Call to find out more about the SA quick changeover system. 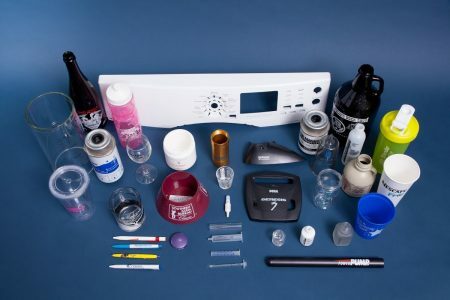 Changeover ­between ­different products is a simple 30 second process. 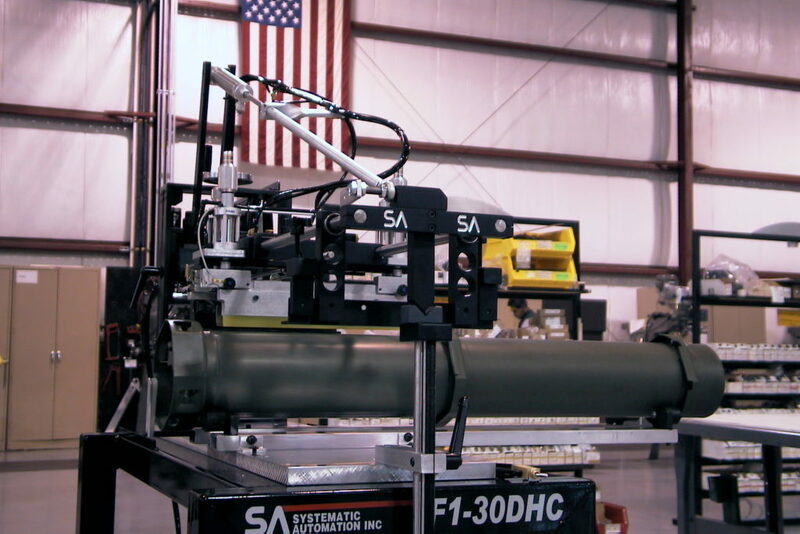 Fulfill your ­orders, while ­decreasing your labor cost with the machine’s quick throughput of 3,600 ­parts per hour (depending on application). Whether your ­business ­involves short runs or high volume production, Systematic Automation’s ­semi-automatic machines deliver for both the silk screen technician and shop manager. Systematic Automation has developed an Ultra Light UV Curing System for immediate cure of your UV inks. The Model UVSP can cure a wide range of cylindrical product shapes and sizes without tooling changeover! You can now quickly and easily flame treat your cylindrical products with the Model FL. No tooling is required. 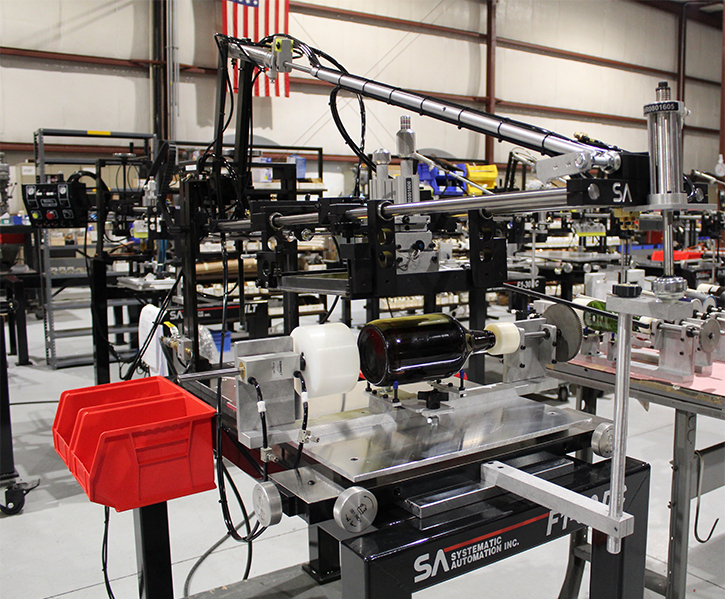 Please view our standard Model F1 for printing both your flat & cylindrical products with quick and easy changeover. Capability to print any cylindrical product. 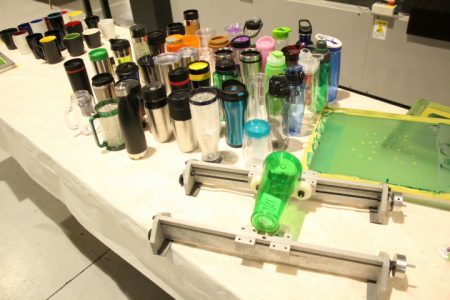 Precision system allows for multicolor printing. Quick and easy product changeover in seconds. Simple design allows for unskilled labor. Approximate throughput of 3,600 parts per hour (depending on article). Machine tool quality and durability. Aluminum tooling plate base ground flat within +/- .001” (.025 mm). Hardened ground and polished shafts with linear ball bearings ­rated at over 300 million cycles. 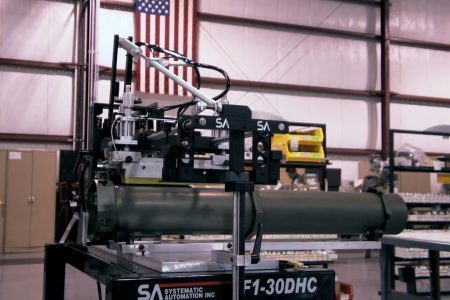 Pneumatic system cannot overload or burn out, or become obsolete. 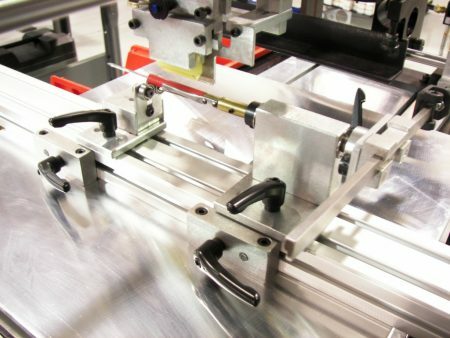 Hinged rear screen frame holder to provide quick access to screen, squeegee and flood bar. Quick release squeegee holder and flood bar assembly. Heavy-duty X, Y, and angular ­micro adjust table. Adjustable print stroke/print flood length. Print/flood cycle – machine “waits” in flood position. Overhead carriage screen lift switch. Heavy-duty welded steel base with casters and tote bins. Adjustable squeegee pressure with gauge and regulator. Flood/print cycle replaces standard print/flood cycle. 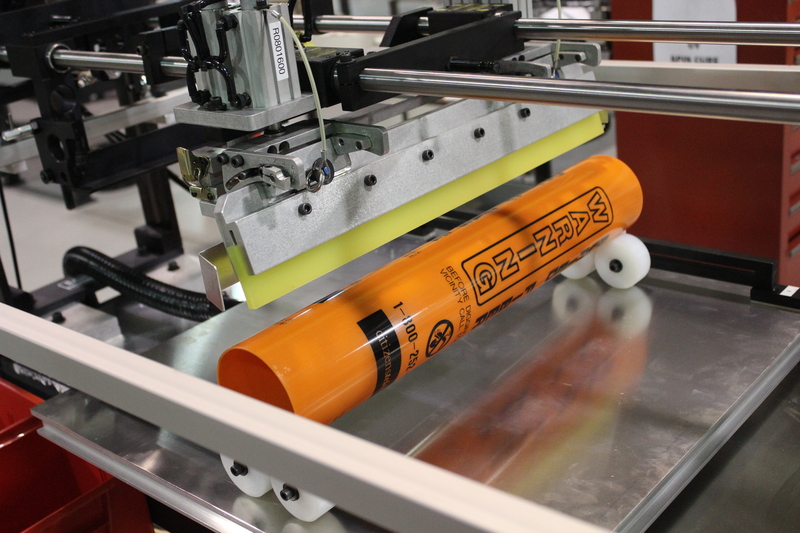 In-Line Printers For Cylindrical Products. This precision one to six color screen printing machine can accommodate a wide variety cylindrical products. Harmonic Lift Printers For Cylindrical Products or For Flat Products. 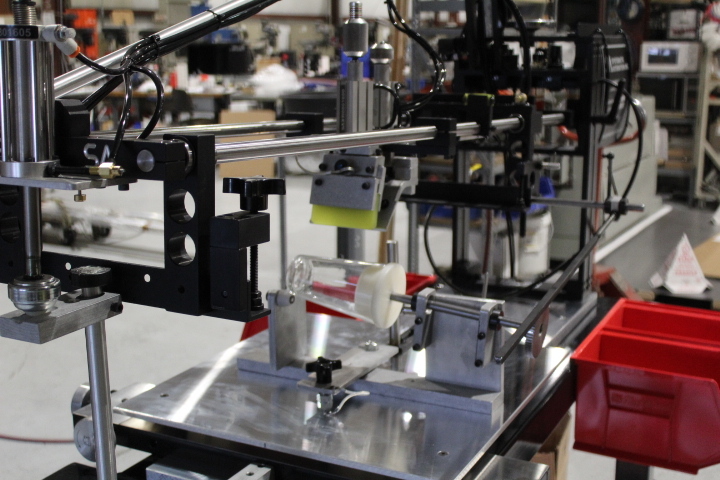 The Harmonic Lift Table printer lifts the product to the screen, which remains in a fixed position. The HLT adapts to a variety of substrates, flat and cylindrical.Ideal for large format products. 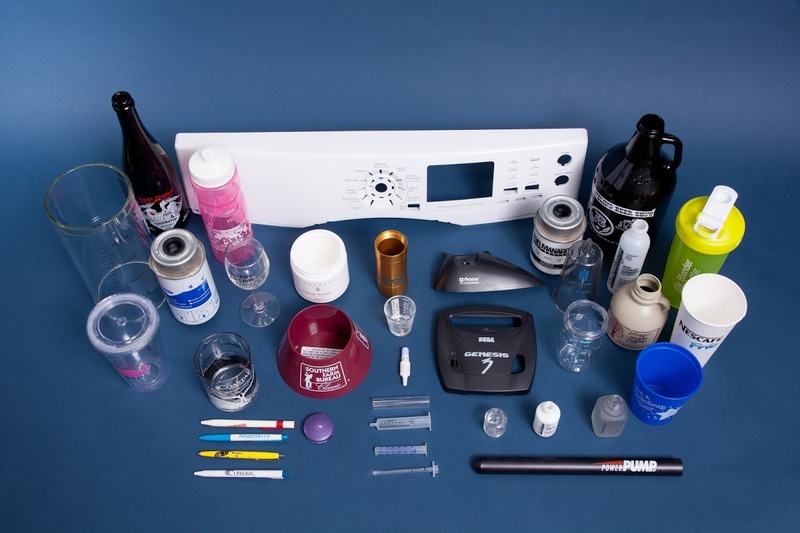 Clamshell Printers For Cylindrical Products or For Flat Products. 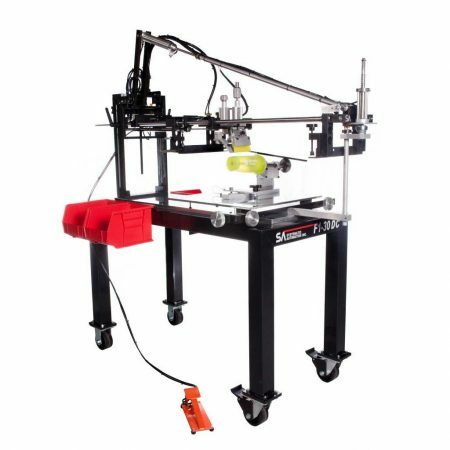 The Model MC-1 Precision Manual Screen Printer is an excellent machine to begin your move up to versatile high precision screen printing. The MC-1 has been designed to accept a variety of attachments and accessories to suit your particular product. 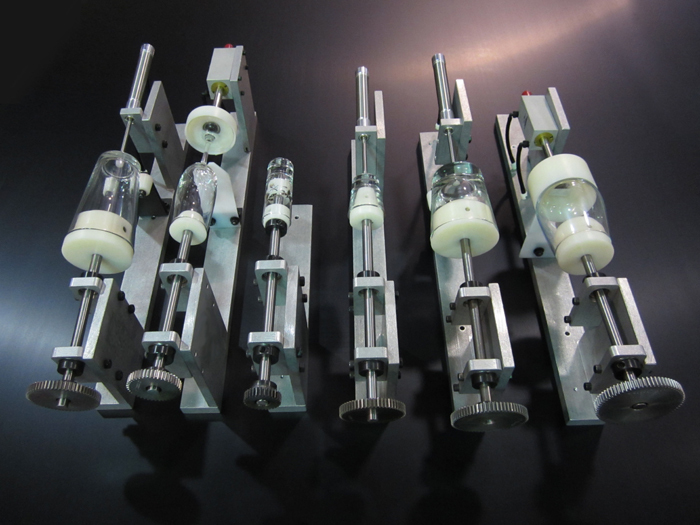 Turret Motion Printers For Cylindrical Products. 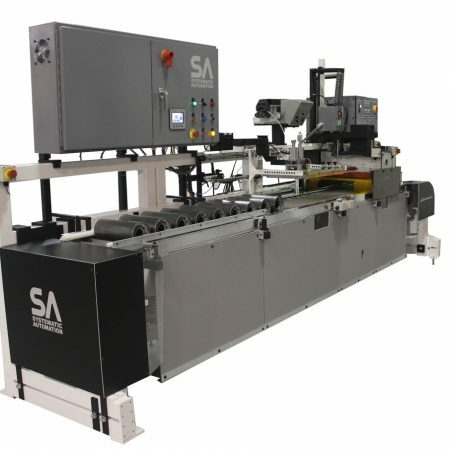 A high-speed, automatic, turret motion screen printing machine for cylindrical substrates, which features an integrated air dryer, automatic loading and unloading.